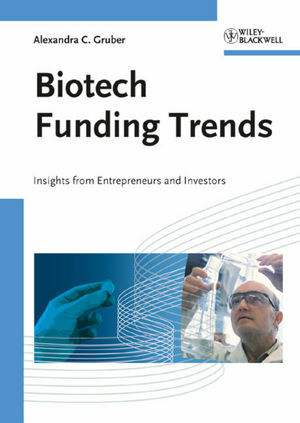 Based on interviews with successful biotech entrepreneurs and high-level investors as well as case studies, this title provides a comprehensive overview of current trends in biotech funding. In particular, it illustrates the tensions between both sides based on their different backgrounds and expectations. The book outlines the various funding opportunities for the biotech industry and identifies ways for both sides to overcome their existing prejudices in order to successfully thrive in a competitive environment. Alexandra Carina Gruber, born in 1971 in Vienna, Austria, has been working in the pharmaceutical industry for the past 12 years, where she has held various marketing and business development positions and developed a profound expertise in the marketing and licensing of biotech and generic products. She is currently Director of Business Development & Marketing at BIOCRATES Life Sciences in Innsbruck Austria.